Mr. Camp has over 25 years of experience in the financial markets. Before establishing Northwest Criterion Asset Management, Mr. Camp was a Financial Advisor at Merrill Lynch. Before that, he was Head of Institutional Fixed Income Options Trading at PaineWebber, where he managed a team of traders, maintained a proprietary account and oversaw the development of software trading systems for options and proprietary trading. Mr. Camp has received a bachelor's degree from Princeton University and master's degrees in mathematics and statistics from the University of Missouri-Kansas City and Columbia University. Mr. Camp has taught statistics and probability courses at Columbia University and Hunter College. He has been quoted in BusinessWeek. 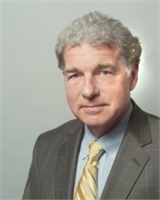 Mr. Hunt has over 30 years of broad-based financial market experience in sales, trading and client servicing. Before co-founding Northwest Criterion Asset Management, he served as Managing Director and Head of Treasury, Agency and Money Market Sales at BNP Paribas. Mr. Hunt spent six years as a Director and Institutional Salesman at PaineWebber where he worked closely with his partner, Mr. Camp. Prior to that, as a Managing Director at Merrill Lynch, he worked as the Global Product Manager for U.S. Government Securities and Agencies and managed a proprietary trading account. He received his B.S. from Manhattan College and his M.B.A. in Economics from New York University where he served as a research assistant and was published in The Journal of Finance. Joseph Hunt is a CFP® professional. Mr. Arns has substantial experience as a portfolio manager and security analyst. Prior to joining Northwest Criterion, he was the Director of Research for a wealth management firm with over $1B in assets under management. Previously, he was an Equity Research Analyst with Bank of America and Susquehanna International Group. Mr. Arns also is the founder of Reason Investments, a NJ registered investment advisor that offers financial advisors an innovative risk tolerance assessment and portfolio recommendation platform. He received his B.S. in Economics from the Wharton School at the University of Pennsylvania, and holds the Chartered Financial Analyst (CFA) designation.